Give us a call when you need boiler repair. Having a boiler quit working is a frustrating experience, and can leave you and your family shivering. Fortunately, with Excellent Air Conditioning & Heating Services, Inc. you can get boiler repair in NYC and the surrounding area quickly, along with a guarantee on all repairs in writing and an up-front price, so there won't be any nasty financial surprises. Excellent Air services Queens, Manhattan, Long Island, and the rest of the NYC area. We depend on our boilers to create sources of heat in our homes or places of business. A boiler heats water for showers and bathing, plumbing, washing dishes and most often for heat. In the cold winter months on Long Island, in Queens or even in NYC, it is essential to have a boiler that is working properly. If your boiler is not working – that could mean the loss of heat and hot water – something you do not want to face on a cold and frigid winter day. Luckily, Excellent Air Conditioning and Heating Services Inc. offers quality boiler repair services for your home or place of business. If your boiler has suddenly stopped working, give them a call. Whether you own a home and have a residential problem or a place of business with a commercial problem, Excellent Air can help. They offer boiler repair service to customers that live on Long Island, in Queens or in NYC. They also offer emergency boiler repair services. They understand that plumbing and heating emergencies don’t only happen during business hours, so they are available to help you at any time. If you wake up in the middle of the night to a cold house, chances are that your heat (and ultimately your boiler) is not working properly. If you need emergency boiler repair services and you need emergency assistance, call an expert. 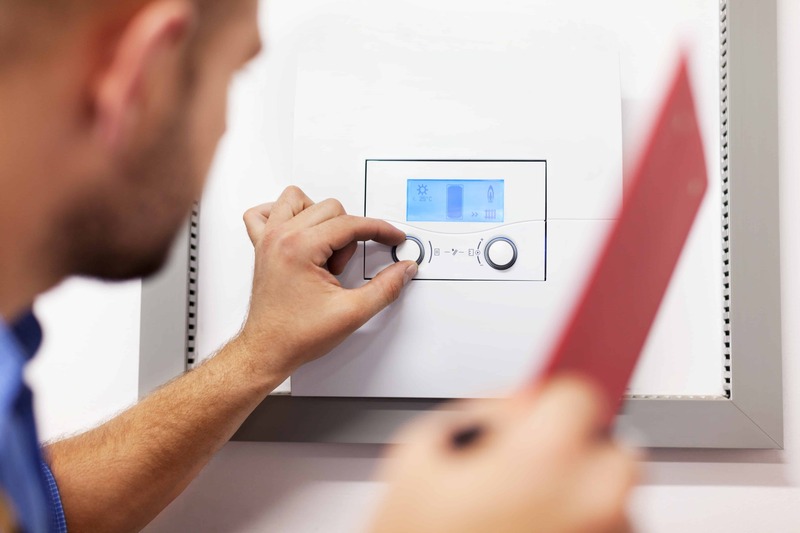 Excellent Air offers emergency boiler repair services at any time of the day or night. They will send a technician to your home to analyze the problem and perform any necessary repairs to get your heat up and running again. If you are having a problem with your heat and your boiler, it can be dangerous during the frigid months of winter and you need a professional to come immediately. Excellent Air offers emergency boiler repair services to customers in Queens, Long Island and NYC. While most people don’t even think about the boiler in their homes until they encounter a problem, it may be a good idea to learn more about the boiler and the heating system in your home. We have compiled a list of frequently asked questions regarding boilers, boiler repair services and the heating systems in many homes. How do boilers create heat? Boilers provide radiant heat, which warms up objects in a room. However, a forced air furnace warms the air in a room, which means objects absorb heat more slowly. Some people prefer boilers because they can set their thermostat at a lower temperature and the radiant heat makes the room feel warmer than the actual air temperature. Many people feel that boilers provide more balanced heat throughout the home during the winter months. What are common reasons for boiler repair services? A pump may fail and electrical components can stop working (controls, thermostat, etc.). In some cases, unnecessary air may get into the system or low water pressure may occur, both of which can result in the system not moving the water so the boiler cannot radiate heat correctly or at all. In rare cases, water can freeze in extremely cold conditions. If you live on Long Island, in Queens or in NYC – during the cold winter months – all of these situations may be possible. Are you wasting energy with a boiler? Boilers do not waste any water because boilers are a sealed system. Modern boiler systems are just as efficient as any gas forced-air furnace. How do I know if my boiler is working efficiently? While most people would not know how efficiently their boiler is running – if your heat is not working properly that may be a sign. The best way to find out though is by scheduling routine maintenance and inspection services with a reputable and professional HVAC company. Can my boiler or heating system be upgraded so it is more energy efficient? According to the Department of Energy, “Furnaces and boilers can be retrofitted to increase their efficiency. These upgrades improve the safety and efficiency of otherwise sound, older systems. The costs of retrofits should be carefully weighed against the cost of a new boiler or furnace, especially if replacement is likely within a few years or if you wish to switch to a different system for other reasons, such as adding air conditioning. If you choose to replace your heating system, you'll have the opportunity to install equipment that incorporates the most energy-efficient heating technologies available.” Other retrofitting options that can improve a system's energy efficiency include installing programmable thermostats, upgrading ductwork in forced-air systems, and adding zone control for hot-water systems. What types of boiler repair services are the most common? Checking the condition of your vent connection pipe and chimney Checking the condition of the heat exchanger - leaky boiler heat exchangers leak water and can be easy to spot. Adjusting the controls on the boiler or furnace to provide optimum water and air temperature settings for both efficiency and comfort Inspecting the pressure tank Cleaning the heat exchanger Analyzing the boiler water and add chemicals as needed to control deposits and corrosion Performing a combustion-efficiency test Testing for the presence of carbon monoxide What happens if I need a new boiler? Before buying a new furnace or boiler or modifying your existing unit, you should make every effort to improve the energy efficiency of your home, and then have a heating contractor size your furnace. Energy-efficiency improvements will save money on a new furnace or boiler, because you can purchase a smaller unit. A properly sized furnace or boiler will operate most efficiently, and you'll want to choose a dependable unit and compare the warranties of each furnace or boiler you’re considering. How do I avoid boiler repairs? If you schedule routine maintenance and boiler inspections you may be able to avoid boiler repair service completely. Routine preventive maintenance programs can help to ensure that your boiler always runs efficiently and your home stays warm in the winter. Scheduling regular inspections and maintenance can ensure that your heating system is running properly and efficiently and that your boiler is working at an optimum level. The heating experts at United States Department of Energy recommend that you maintain your heating equipment to prevent future problems and unwanted costs. They advise homeowners and business owners to, “Keep your cooling and heating system at peak performance by hiring an HVAC professional to perform annual check-ups.” The best way to ensure that your boiler is working well and that your heating system is functioning safely and efficiently is by hiring an experienced professional to perform a thorough inspection and safety check. Excellent Air also recommends service and maintenance agreements to all of their Long Island, Queens and NYC customers. If an emergency occurs and your boiler malfunctions, you will be covered by the service agreement for most boiler repair services. A service agreement also gives you the peace of mind that if anything happens, you will be covered and will avoid paying for unexpected and costly boiler repairs. Choose Excellent Air Conditioning & Heating Services as your number one choice for boiler repair services on Long Island, in Queens and in NYC. We offer many other services including heating and air conditioning systems for both commercial and residential customers. If you are in need of a boiler repair or any other heating related services for your home or business, call 631-427-0677 in Suffolk County, 516-248-2795 in Nassau County and 718-428-6987 in Queens and NYC. When you hire a company to repair your boiler, you want it done right the first time. Excellent Air is committed to make sure your boiler is fixed properly. That way, our customers are happy with what we've done for them, and they can stay warm and comfortable. With more than 30 years of experience and an A+ rating with the BBB, we're confident we can take care of your boiler repair and make you a happy customer. If you need boiler repair in NYC, or your Long Island boiler repair isn't holding up to winter's chill, you may want to consider whether your system needs to be updated or replaced. Excellent Air will be happy to make further repairs and show you the results of any testing we do, so you can see exactly what's wrong with the system you currently have. We take our work and our customers’ needs very seriously, and will work with your needs and budget to find a solution that works for you. For newer boilers that don't need replaced, standard maintenance schedules can also lower the need for repairs. There are plenty of people who fix boilers, but Excellent Air stands above the rest. Being family-owned and -operated, we understand the importance of keeping your family comfortable, cozy, and safe. Your boiler can play a big role in that, and we want to make sure it's working right all the time, so you don't have to worry about it. We can't guarantee your boiler will never need repairs, but we can guarantee that we'll do the work right, and that we'll give you a fair price and our best effort to correct the problem as soon as possible. Don't go another minute with a boiler that quit working, or one that's just not working the way it should. An inefficient boiler can cost you a lot of money, even if it still works. Getting it repaired can make all the difference for you and your family, by raising your comfort level and lowering your bills. Get in touch with Excellent Air today, and let our trained and qualified technicians repair your boiler quickly and efficiently. If you need expert Boiler Repair Long Island, call the professionals for all HVAC services, Excellent Air Conditioning and Heating Services at 631-427-0677. Contact us today for more information about our boiler repairs and other HVAC services in NYC and Long Island!